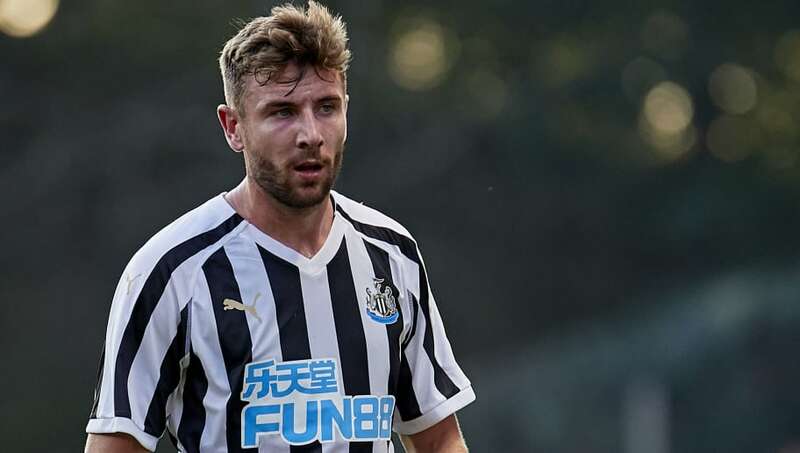 ​Academy product Paul Dummett recently captained ​Newcastle United, while a Tyne-Wear derby between the Magpies and Sunderland youth teams saw 10 Geordies on the pitch in black and white. Moments like those would give the impression that Newcastle's academy set-up is in fact perfectly functional. It would make the suggestions that it required an urgent overhaul, like manager Rafa Benitez has fought for since his arrival, seem like personal preference rather than necessity. The academy set-up is in dire straights. Compared with its Premier League rivals, the facilities need a major overhaul. Money is required to make it successful, and its needed soon. Youth teams and a club's future prospects form a huge part of the foundations of a successful football club. Yes, teams can make big money signings to paper over the cracks and plug problems, but being able to develop and grow their own talent to fill these holes are what truly make the top teams great. Newcastle, as the sole top-flight representatives for the North East of England, should have this so easy too. Whereas the London clubs are fighting with five and six other teams for the top youngsters, the Magpies should have free pickings. The talent is certainly out there too, it's just not getting what it needs to develop. The Tyne-Wear youth level derby highlighted that clearer than ever. There were 10 local players on the pitch at one time, and eleven over the course of the game. Yet, the likelihood is that maybe two or three of them will actually get chances in the first team - the most likely being Sean Longstaff, Jamie Sterry and Callum Roberts. The rest will not reach Premier League level, and its not because of a lack of talent, but rather a lack of the necessary development. That forces Newcastle to have to buy players, and pay high transfer fees, something the club is vehemently against doing under Mike Ashley. It's a continuous Catch-22 on Tyneside at the moment, and one that could so easily be resolved by investing in the academy set-up. Within three or four seasons, Newcastle could see themselves fielding their own homegrown players, rather than having to buy from elsewhere. Who knows, then one day the club might finally be able to fulfill Sir John Hall’s infamous declaration that he would love to field a team of 11 Geordies in first team black and white. Right now, with what currently exists at the club, that's simply not going to happen. Instead, our players are going to suffer the same fate met by the likes of Adam Campbell, Jak Alnwick and most notoriously Adam Armstrong. Players with huge potential, they developed well initially at Newcastle and were even given opportunities to grace the first team. However, once they reached a certain level the required set-up wasn't there at St. James' Park for them to push on and reach that consistent Premier League level. Campbell has ended up at Notts County and Morecambe in the lower levels of the Football League, while Alnwick is set to turn out for Scunthorpe this season, on loan from Rangers in Scotland. Both were touted to have bright futures but the academy couldn't provide them with what they needed to reach the top level. Armstrong, Newcastle's finest example of their 'next big star' who never quite made it, is now permanently a ​Blackburn Rovers player and will likely forge out a good career for himself at Championship level, but so many questions have to be asked as to why he never hit that top mark. Even bringing in young stars from elsewhere isn't going to work, as has been proven this week once again with Rolando Aarons. Aarons was brought in as a promising young talent who could break into the first team, and yet has instead found himself on a failed loan with Hellas Verona in Italy and now set to spend the first half of the season in the Czech Republic. Newcastle's academy might have rare examples of success like Paul Dummett, and brief moments of positivity like the Tyne-Wear derby match, but at the end of the day its sub-par for a club like the Magpies. It's failing its talented young players, through no fault of the staff or coaches, and needs investment if Newcastle ever want to make anything of the future.